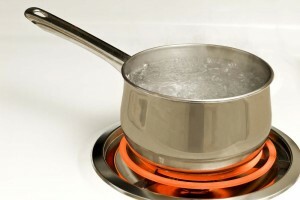 How is tap water treated, and what causes a boil-water advisory? There’s nothing like a storm to make you appreciate tap water. Gazette editorial note: There’s nothing like owning an ultraviolet unit to make you appreciate being able to ignore boil-water advisories. In the wake of hurricanes and resulting power outages, many times people are told their tap water is non-drinkable. Water providers often issue a “boil-water advisory” because a treatment facility was affected during a storm. Residents are typically told that water is safe for bathing and laundering clothes. But even though the water that comes out of the faucet looks the same as it always does, something obviously happened to make it no longer potable, or safe to drink. So what exactly occurred? And what does the water treatment facility do to the water in the tap in first place? Most municipal water treatment plants work by taking surface water, like water that comes from streams or lakes, and putting it through the treatment ringer , with processes like coagulation, filtration, sedimentation and disinfection. All of these processes help to eliminate contaminants in the water, like shigella, E. coli and cryptosporidium. If a water treatment facility is flooded, as it could be during a hurricane , it is possible that the entire treatment facility’s integrity could be compromised, since the system can handle only a certain amount of nontreated water at a time. Other common situations that could compromise a facility include loss of pressure in the water distribution system, loss of disinfection, water line breaks and power outages. This could lead to your water provider issuing a boil water advisory, meaning you should boil any water that you intend to consume, whether it be for drinking, cleaning food or even brushing your teeth. In many cases, since these bacteria and viruses are not visible to the naked eye, the water will look the same as it always does. The water is safe for bathing (so long as you don’t swallow the water) and laundering clothes because these bacteria can cause harm to your body only if they are swallowed. If you have toddlers or babies in the house, it’s important to give them only a quick rinse at the sink or a sponge bath rather than a regular bath during a boil water advisory since they can very easily swallow bathwater. One thing is for sure, though. Something like this really makes you appreciate the creature comforts we’ve gotten used to — being able to turn on the faucet and brush our teeth, rinse a pot of spaghetti, and fill up a pitcher of cold water to drink.